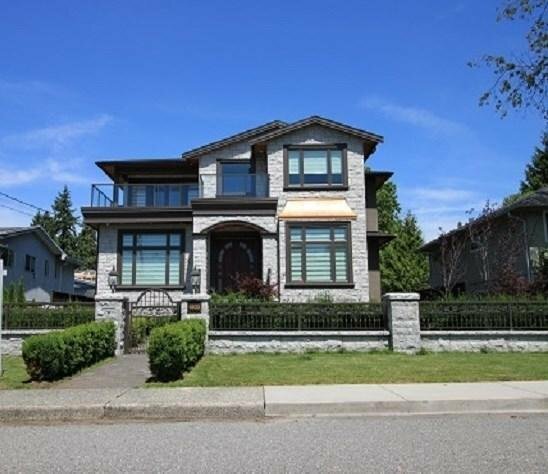 Brand New luxurious home located on quiet street in prime North Burnaby. It features 8 bedrooms and 7 bathrooms, 4 ensuites on 2nd floor, two 2-bedroom suites with separate entrance for mortgage helper. It boasts all high end materials and attention to detail finish. Miele S.S. appliances, surveillance system, Air-conditioning, radiant heating, HRV,built-in sprinkler system. Aluminum fenced surround and Stone make this home noble and elegant. Walking distance to Burnaby North Secondary, close to SFU, shopping and recreation center.